Unsurpassed comfort and a completely natural listening experience make the ATH-AD700X headphones by Audio Technica ideal for long listening sessions. Designed with a lightweight honeycomb aluminum casing, these open-air headphones produce no sense of pressure on the ears. 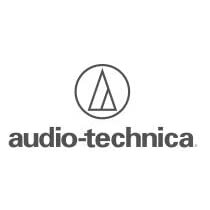 Audio Technica’s newly designed 53mm drivers with bobbin-wound CCAW voice coils deliver spacious sound with superior highs and mids.